In American Arab, Iraqi-born Director Usama Alshaibi takes a provocative look at the contradictions of Arab identity in post 9/11 America, weaving his own life’s journey and “coming-of-Arab” experiences into the life stories of several diverse characters. Exploring the values, passions, and hopes of his fellow Arab-Americans, Usama tries to make peace with his conflicted chosen homeland. Arab-Americans are not one monolithic group, but rather a diverse and complex array of many voices and cultures. 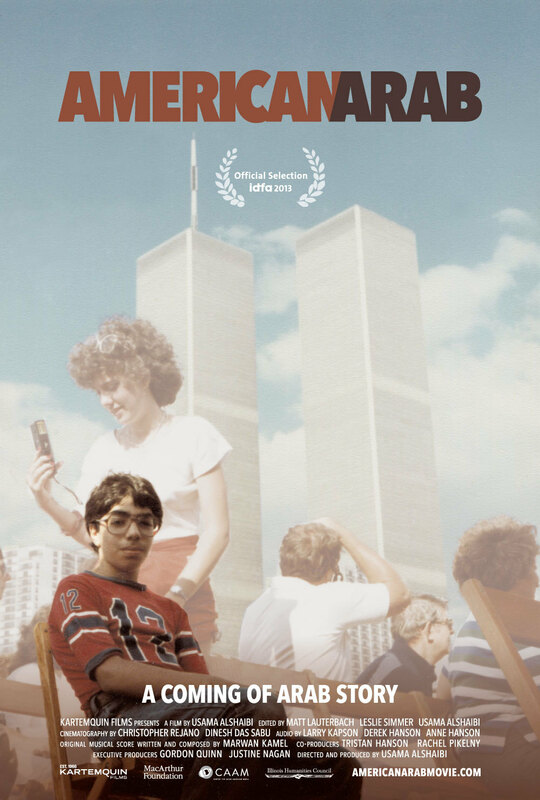 This film weaves sadness and humor, anger and satire, provocation and understanding, embracing the multifaceted Arab American experience of post 9/11 America. By shedding light and giving clarity to a recent and difficult time for Arabs living in the US, American Arab shows how the struggles over identity within this documentary are universal. The film world premiered at IDFA 2013, the world's largest documentary festival, and had its US premiere at the 2014 Big Sky Documentary Festival before gaining an honorable mention as the closing night film of the Chicago Underground Film Festival. The American Library Association praised it as a "a potent discussion starter," and Documentary magazine wrote that "in the great tradition of American personal documentary film, Alshabi also struggles with what it means to be a filmmaker who happens to be Arab-American. Less concerned with aesthetics than ideas, he uses the camera as a tool to dig for answers about identity, art and filmmaking that are often overlooked." The Underground Film Journal wrote that Usama Alshaibi "is one of our most important filmmakers, a fact further defined by this engaging and enlightening documentary." "Probes what you might call the Arab-American dilemma... smart and complicated... you immediately have a connection to these people." - The Chicago Tribune. - Video Shorts - Original Trailer - Companion Feature Film: NICE BOMBS (directed by Usama Alshaibi, 2006).